This 27 Bead Pocket mala is part of our Water Collection. 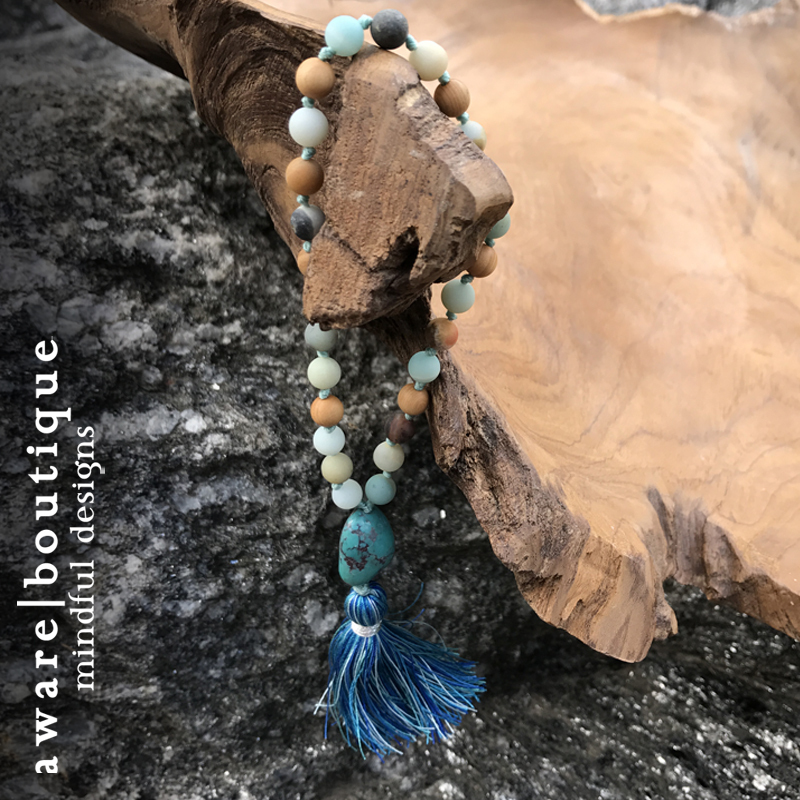 This pocket mala is a quarter the size of a traditional 108 Bead Tibetan mala, it contains 27 beads plus 2 marker beads (not to be counted in meditation), and a guru bead and silk tassel. 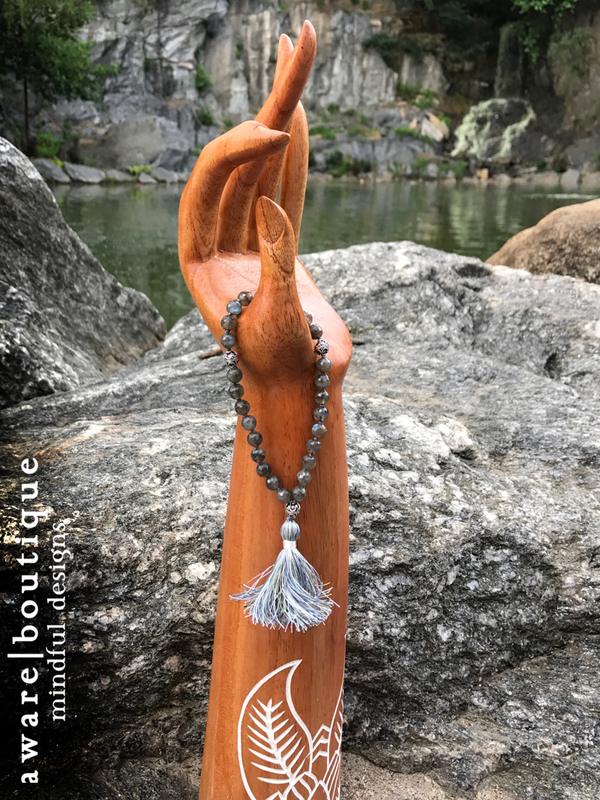 This particular mala is comprised of Labradorite, with Ornate Balinese Silver marker and guru beads. This 27 Bead Pocket mala is part of our Air Collection. 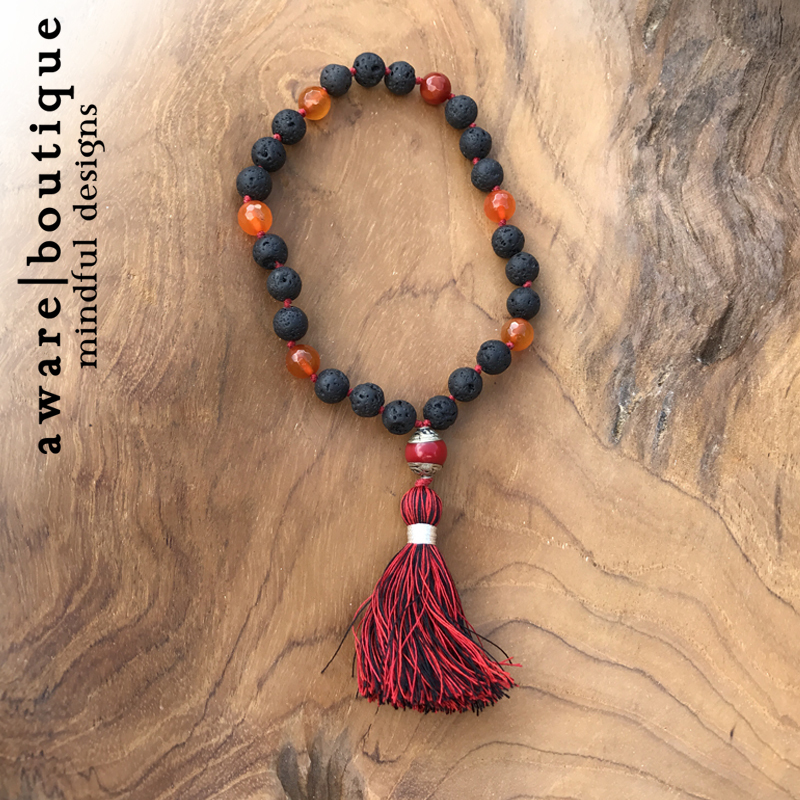 This pocket mala is a quarter the size of a traditional 108 Bead Tibetan mala, it contains 27 beads plus 3 marker beads (not to be counted in meditation), and a guru bead and silk tassel. This particular mala is comprised of Rainbow Moonstone, Sodalite, and Blue Aventurine beads, with Quartz Crystal marker beads and Aquamarine guru bead.